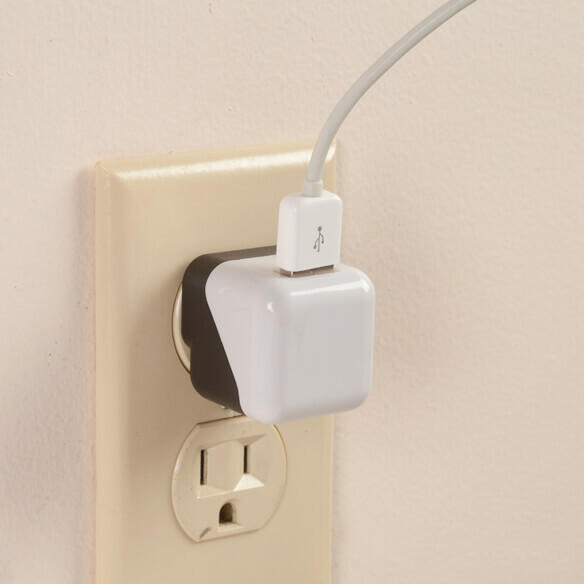 Versatile, single USB wall adapter allows you to plug any USB cable into a wall outlet for faster charging. Perfect for charging phones, tablets and other gadgets at home or on the go, this petite USB charger is easy to stash in a purse or pocket. Stock up and keep one in every room! 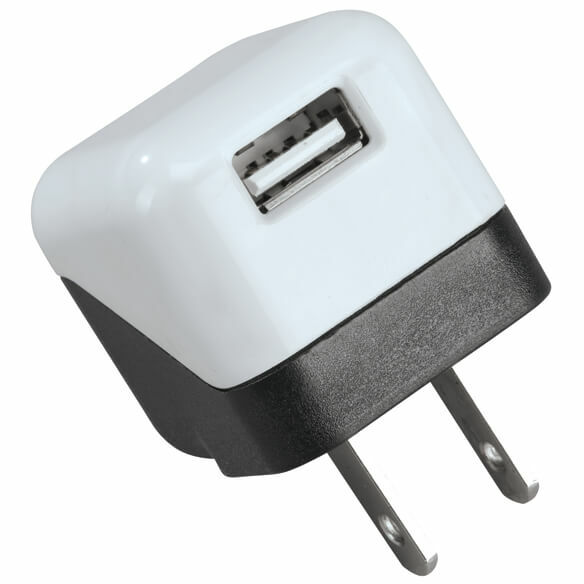 1 1/4” cube USB wall charger. 5V/1A unit’s safety features include built-in short-circuit and overcharging protection. I think this'll be great charger alternative!